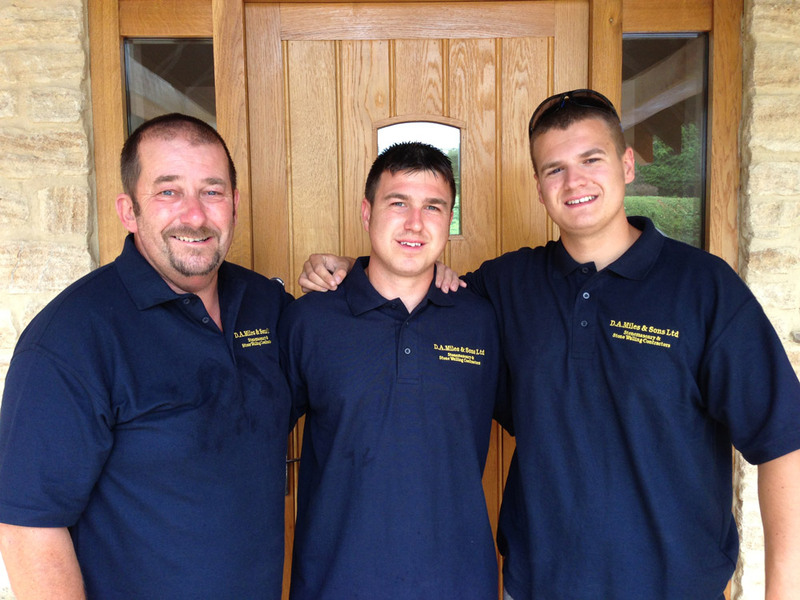 D.A, Miles & Sons has been an established family run stonemasons and building contractors since 1979. The firm is famous for specialising in working with the unique stone seen in and around Oxfordshire. From the natural stone used in the construction of much of Oxfords most famous architecture to the stone used in areas such as Headington Quarry and many of the Churches in and around the city. The company has many years of experience in the working of stone and has been retained by many of Oxford’s institutions. From Oxford University and Oxford Brookes to many Churches and the local Council to maintain and repair, as well as construct new structures in keeping with the unique Oxford Style. As such we enjoy an enviable reputation for the quality and consistency of our work. D.A. Miles & Sons were the recipient of the prestigious Oxford Preservation Trust Award for its work in the city. We were also behind a number of high profile restoration projects including the Chapel at St Peters and Holy Trinity Church in Headington Quarry, Abingdon Old Gaol, Bury Knowle Library and Lawn Upton School to name just a few. Examples of our workmanship can be seen in the gallery, so take the time to enjoy our work. We think the look of Oxford is unique and special and are proud to be a part of its upkeep.